JOLIVI Premieres "Chains (White Sea Remix)"
October 26th Los Angeles, CA - LA-based singer-songwriter JoLivi has collaborated with White Sea to premiere the "Chains (White Sea Remix)"today! 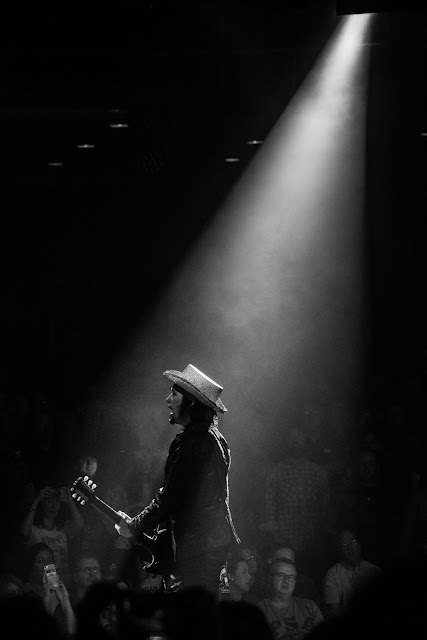 Fans can stream the track exclusively via All Things Go HERE. The remix follows JoLivi's Games Remix EP, released last month via Celeb Mix, available to stream here. JoLivi's full Just For You EP is available for purchase here: https://goo.gl/ch2t9k. "White Sea has put her own spin on it, creating even more layers of ethereality, speeding the track up and adding a shallow, percussive bass." All Things Go praised the new remix. 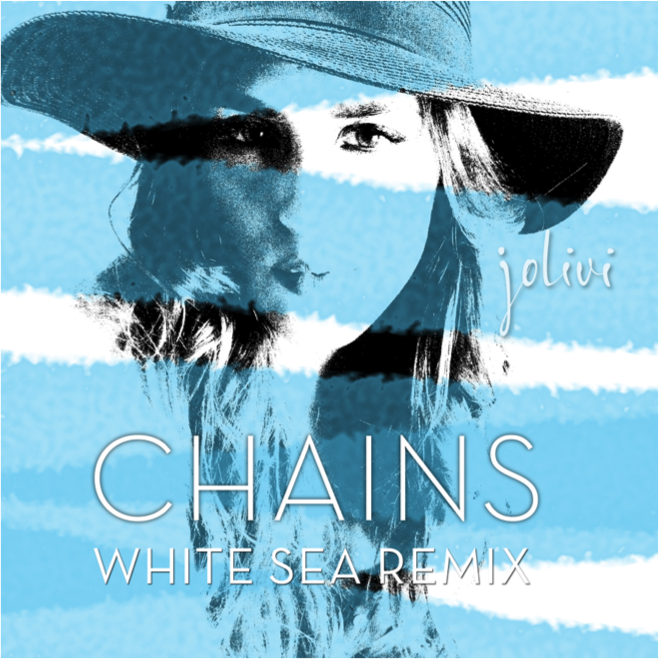 "It is always a please to work on up and coming talent, especially when a song and a voice like JoLivi's comes across my desk," remarked White Sea the "Chains" remix, "She's got a lot of guts and a lot of talent, the remix was so much fun to work on!" On the remix, JoLivi raved, "I loved what White Sea was able to do with my track." She continued saying, "She gave it such a cool edgy vibe and being able to work with a respected and strong female in the music industry is priceless." Formerly of French electro-pop group M83, White Sea a.k.a. Morgan Kibby ,recently embarked on her journey as a solo artists. Since then, the singer-songwriter/producer has been praised by Pitchfork, Billboard, SPIN, MTV, Interview, Stereogum, Rolling Stone and more for her dynamic remixes and unique original tracks. White Sea is known for her collaborations as of late, having remixed tracks by The Weeknd, Lorde, Ellie Goulding and now JoLivi. The Hawaii-born singer-songwriter pulls JoLivi pens tracks about bouncing back after hardships in life and love. Since her musical start, JoLivi has garnered attention from Baeble, Perez Hilton, Fanlala, Myspace andmore! Drawing on personal ups and downs, JoLivi offers an intimate take on pop. Self-described as "curious, loving, confident and definitely resilient," JoLivi pens tracks about bouncing back after hardships in life and love. Myspace remarked that, "JoLivi's songs are laced with the girl-power messages that make pop so delicious." Perez Hilton recently praised the songstress' latest track "Chains" saying JoLivi, "Sounds like mid aughts Mariah Carey meets JoJo and some Jordin Sparks!" Fans can check out the visuals for "Chains" HERE (167k views). 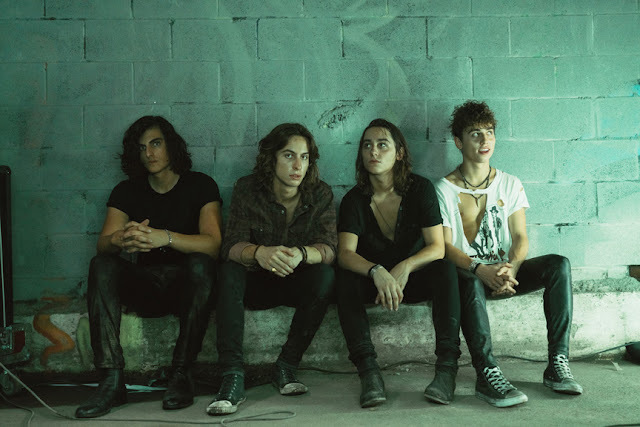 "JoLivi is finding the light despite some dark times," Breathe Heavy said of JoLivi's unique take on pop music. Her powerful presence and sound are evident in every track and shine through in her visuals as well. Adding an edge to typical pop, JoLivi's music "is as real and honest as she is. (PopWrapped)." Fanlala commented that "JoLivi is an artist brand new to the scene, but with a ferocity like hers, we can't wait to see where her music takes her." "Chains (White Sea Remix)" follows JoLivi's new EP, Games Remix EP as well as her full project, Just For You. For more information, please visit:www.jolivimusic.com.